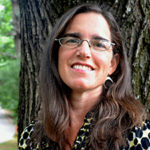 When Warren Lee applied to the Organic Growers School’s year long farmer training, Farm Beginnings, they spoke about the pull and draw of their family land in Roswell, Georgia as a motivating factor. It was their great grandfather’s land and had been passed down in the family. Farm Beginnings® is a 12-month training that uses a mix of farmer-led classroom sessions, on-farm tours, mentorship, and field days. 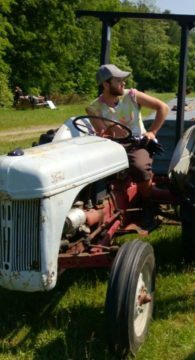 Warren had been pursuing their farm dream in the Northeast, including work on a farm in VT, a permaculture design course certificate, and a Masters in Ecological Design. All throughout those endeavors, they were being called back to their roots and land. “This has been something that I have not been able to stop thinking about for the past 4 years. I have worked different jobs and each time I do, the need to farm gets stronger. In my spare time the only thing I find myself doing is thinking about farming, planning the farm, designing, and generally getting pumped up about it,” they said. When they found the Organic Growers School’s Farm Beginnings® program, it seemed a perfect fit. It was the needed structure and support for them to plan and vision and lay out a path to success. Farm Beginnings® Farmer Training is designed to build the practical skills and knowledge that farmers need to start and grow successful long-term farm businesses. The course is taught by established farmers and agricultural entrepreneurs from across Western NC with a focus on sustainable agriculture practices.